Comodo Surges to Lead in Internet Trust! For the first time in almost 20 years, Internet trust has a new leader! This month, Comodo surged past perennial chart topper Symantec/Verisign in market share for issuing SSL Certificates. Today, one third of all web sites using SSL have chosen Comodo to protect their critical communication and build trust with customers. 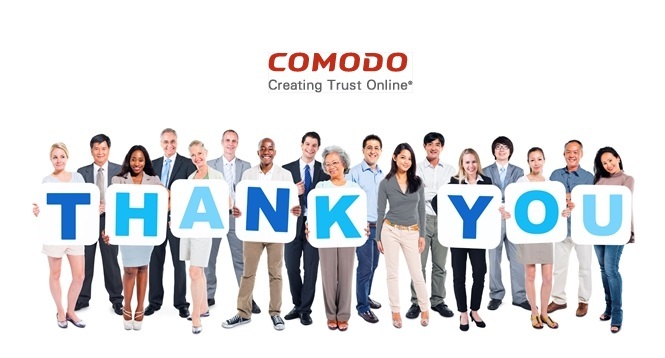 Comodo recognizes that this milestone has been made possible by our partners and customers who have placed their trust in us. Comodo is striving to provide all enterprises with a rich ecosystem of interconnected, inter-operable security products and services that will help them succeed in the cyber war we are now engulfed in. Never has the threat to civilized communication and free commerce been greater. Like the great navies of global powers past, Comodo secures the digital sea lanes of international commerce. At the dawn of the industrial revolution Edmund Burke said “For evil to flourish, all that is necessary is for good men to do nothing”. Since 1998, we have known that doing nothing is not an option if the Internet Revolution is to achieve its full potential and enrich the lives of all of the citizens of planet earth.